Oluyemi Oluleke “Yemi” Osinbajo (born 8 March 1957) is a Nigerian politician and lawyer who is the current Vice President of Nigeria, in office since 29 May 2015. He is also a Senior Advocate of Nigeria, Professor of Law and until his inauguration as Vice President, a Senior Partner with SimmonsCooper Partners, a commercial law practice. Yemi Osinbajo was educated at Corona primary School, in Lagos. Between 1969–1975, he attended Igbobi College Yaba, Lagos, Nigeria. where he was the winner of the State Merit Award (1971); the School Prize for English Oratory (1972); Adeoba Prize for English Oratory (1972-1975); Elias Prize for Best Performance in History (WASC, 1973); School Prize for Literature (HSC, 1975); and African Statesman Intercollegiate Best Speaker’s Prize (1974). 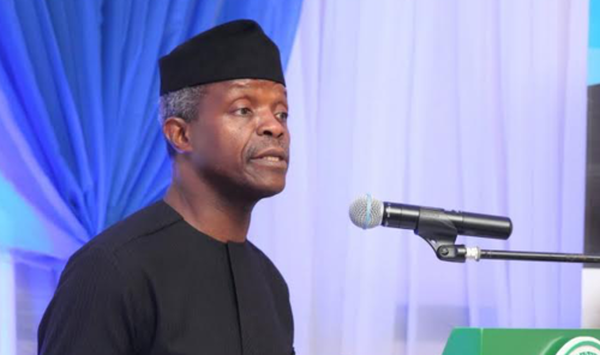 Yemi Osinbajo was also the Pastor in charge of the Lagos Province 48 (Olive Tree provincial headquarter) of The Reedeemed Christian Church of God, Ikoyi before his inauguration into office as the Vice President of Nigeria. He however still insists that he remains the pastor-in-charge of the said province and he is only on loan to the Federal Government. Yemi Osinbajo assumed office after taking the oath of office on 29 May 2015 at the Eagle Square, Abuja. As the Vice President of the Federal Republic of Nigeria, he is expected to oversee the economic planning team and report, as well as make recommendations, to the president who takes the final decision.